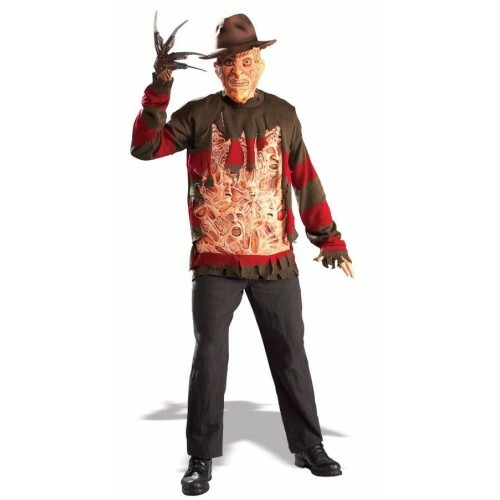 Freddy Krueger Chest oof Souls Jumper - adult, latex & acrylic/cotton mix. Look like your favorite Nightmare on Elm St character! Red and green striped sweater with center opening. Pull back the sides to reveal latex 'Chest of Souls'! Fits adults up to size 44" chest.